The Kalaheo Beach House is a spacious 2 bedroom, 1 1/2 bath traditional plantation home offering an authentic Hawaiian living experience. 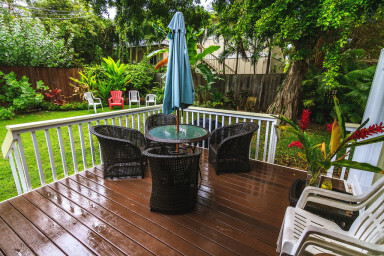 The Kalaheo Beach House is a spacious 2 bedroom, 1 1/2 bath traditional plantation home offering an authentic Hawaiian living experience in a private, serene, garden setting, only steps away from world famous Kailua Beach. Welcome to our charming remodeled vintage Hawaiian style 2 bedroom, 1 1/2 bath Beachlane home. The Kalaheo Beach House is ideally situated on a private beach lane, in a serene, garden setting, only 240 steps away ( we counted them) from world famous Kailua Beach on Oahu's windward side. It is truly four minutes out the front door and down the private lane to access beautiful, uncrowded Kailua Beach. Outside the house, there is a large garden area with outdoor shower, a breezy, lovely open deck with furniture and a gas BBQ. The storage shed contains 4 small adult bicycles, beach chairs, small coolers, boogie boards and float noodles for use at the beach. There also is a beach wagon to pull the chairs to the beach. An open Hawaiian outdoor hot/cold shower is behind the house for you to enjoy when you come from the beach. Inside the house you will find another bathroom with shower, toilet and sink and a 1/2 bath with toilet and sink. One bedroom comes with a queen sized bed and a second bedroom with two extra-long firm twin beds. There is a full kitchen with full size refrigerator, freezer & ice maker, full stove, but no automatic dish washer, a dining area for 6 and a nice living room with large flat screen cable connected HDTV and a pull out couch. There is a large desk in the kitchen with Wi-Fi internet access for your laptop. The house also has a landline for local calls. Most days island trade winds and ceiling fans will keep you comfortable but at night or when needed, there is air-conditioning for your added comfort in each bedroom and a whole house fan to cool the living/dining room. There is a washer and dryer on the property and a double wide parking space. The property manager lives in Kailua and is very responsive. You can expect to be greeted checking into the house. We will be as involved as you'd like. At Kalaheo Beach House you might hear the surf at night. 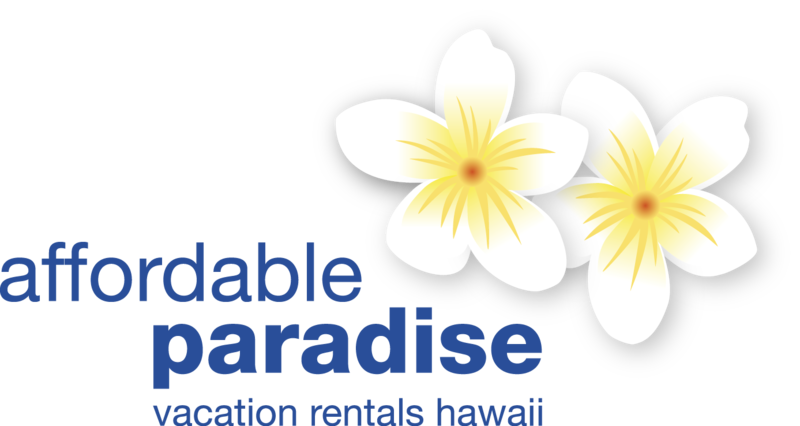 If you're looking for an out of the way Hawaiian vacation rental, walking distance to Kailua Town and the beach, look no further. We are located in a lovely neighborhood in the nicest place on earth. Seven golf courses in a five-mile radius, tennis courts, an Olympic-sized pool, fabulous beaches, activity adventures, exciting shopping, and gourmet dining -- Kailua has everything; two and a half miles of white sand beach with no hotels, resorts, time shares or beachfront condos. This is affordable paradise. This house was absolutely fantastic for a vacationing family of four! We used to live in Kailua and have an appreciation for how hard it is to keep a house near the beach clean and bright. The Kalaheo Beach Cottage was very welcoming, clean, well-supplied and nicely decorated with bright Hawaiian prints. We especially appreciated the beach proximity so that the kids could play at the beach while we prepared meals in the large kitchen. The available rec equipment was a great bonus so we didn't have to go rent everything. It was everything we needed to have a great vacation at a price comparable to a single hotel room. We'll be back! We had a great stay, awesome location and home is large and comfortable! © 2019 www.affordable-paradise.com. Alle Rechte vorbehalten.